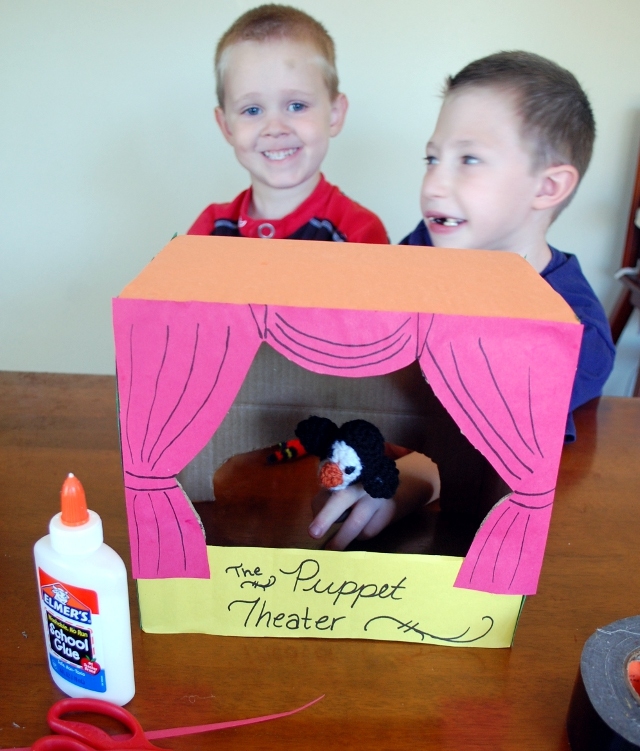 You thought I was kidding about the puppet theater, didn’t you? How do you like that bruise on Charlie’s forehead, by the way? We went to a splash pad with some friends the other day, and Charlie and his buddy both decided that it only made sense to run through the water jets with their eyes closed. Yup. Crash! 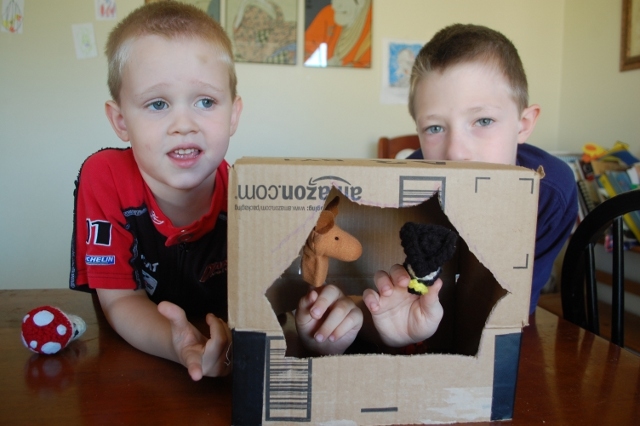 So, we took a little cardboard box and taped the flaps open to give it a little more height. 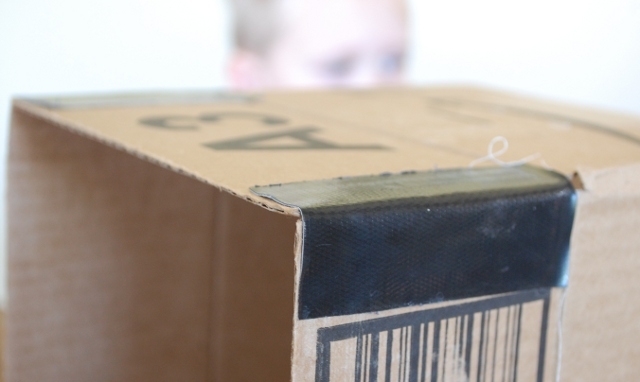 Then, I cut a vaguely curtain-y shape out of the front of the box with a knife. 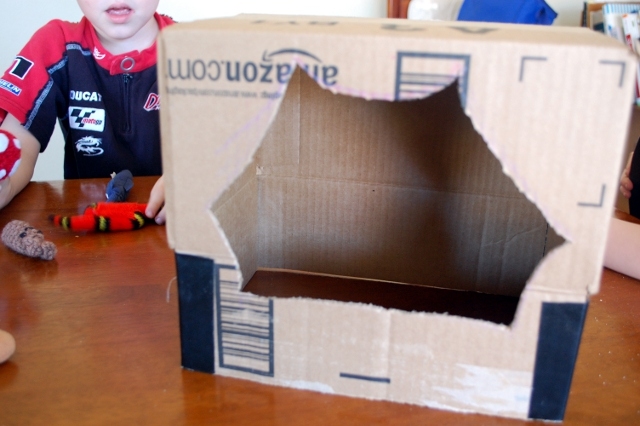 Next, I cut an arch out of the back so little hands can slide in between the box and the table. I cannot explain the face Charlie is making in this picture…or why it makes me laugh. So. Hard. So there you have it! 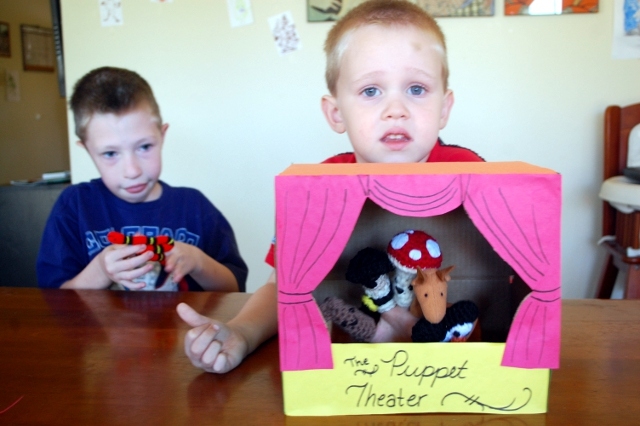 A little puppet theater made with only stuff I had laying around the house. The boys like it so much that they played with it last night when the babysitter was here – not such a big deal unless you realize that on babysitter nights they’re allowed to play video games the whole time, and they spent (quoting the sitter, here) “a really long time” playing with this instead. ← For….I am a Pirate King!